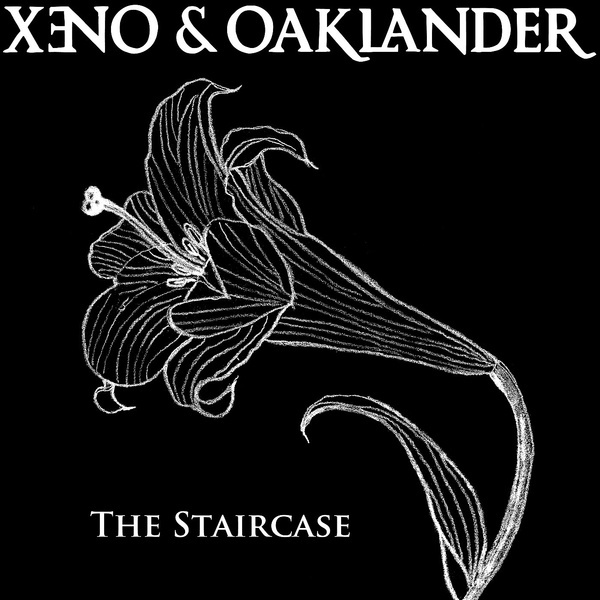 "First single to be lifted off Xeno & Oaklander's forthcoming new album 'Sets and Lights'. Baroque electronic arpeggios and fast celebratory beats drive the surrealist scenario of 'The Staircase' in which a staircase continually leads to dead ends. The delicate ghostly female vocals mirror this eternal motion forwards and backwards and up and down. This dark tale takes flight into warm noise ornaments and glistening synth flourishes and comes right back to its core: minimal electronics. 'Not Afraid' is a more haunted and dark waltz which takes you to a private enchanted universe of silk, flowers, leather and lace, sheltered away from turbulence and doom."